Originally published on my blog here in January 2001.Susie Burke is an actress, one who obtains parts more for herlooks than her ability. She also carries out slightly shady jobs onthe fringes of the intelligence world, entertaining people who needto be kept out of the way for one reason or another. 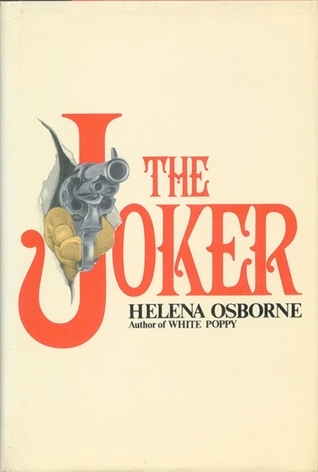 She is alsohaving a clandestine affair with Home Secretary David Hallam.The various threads of her life become entagled when she isinvolved in the search for Eva Pech, a senior Hungarian officialwho has disappeared in England - possibly kidnapped, possibly inhiding before attempting to defect.Written from Susie's point of view, The Joker is anamusing thriller. Susie is not as dumb as she acts, but it doestake her a fair amount of time to work out exactly what is goingon. She does so just in time to provide quite a tense ending.Enjoyable, undemanding, fun. Kind of an odd book that pairs an immensely complicated plot of cold war-flavored intrigue with a cast of immensely stupid characters. The story began well, and I had hopes that the lightweight heroine would rise to the task. Unfortunately she and her co-conspirators jumped to every possible wrong conclusion, chased eagerly after every red herring and failed to think anything through. It got old in a hurry. A shame, really, because it could have been an excellent thriller.